The Chief Justice of Lahore High Court has recently made 11 nominations for appointment to the Bench of the Lahore High Court. News of these nominations (made by the Chief Justice to the Judicial Commission of Pakistan – JCP) surfaced on 20th September, 2018 through media reports. The same media reports also indicate that on October 2, 2018, the JCP is scheduled to meet and discuss the nominations. Unfortunately, very little information exists in the public sphere about these nominees and absolutely nothing has been revealed by the Judicial Commission. To fill the information gap, we have decided to put together and publish an independent investigative report on the nominees, largely using publicly available sources, but also using interviews where possible. This is only a preliminary report using information readily available to us and we are happy to correct any errors and omissions if they can be pointed out. As Professor Amartya Sen has argued in his famous work The Idea of Justice, democracy is not just another name for electoral rituals: the essence of democracy is public reasoning. This is why, all over the world, a fair, informed and lively debate about judicial nominations is considered to be an essential part of democracy. Shying away from public reasoning is, on the other hand, considered the sign of an authoritarian state structure. A common thread which emerges from a review of the Supreme Court’s precedent on the issue of public appointments is this: “a transparent, inclusive and demonstrably fair process…” is the best guarantee of confidence-inspiring public appointments. Our investigation is a humble step towards bringing these salutary principles to bear on the judicial appointments process. This research has being carried out pro bono and has not been influenced in any way by any of the nominees. Mr. Anwaar ul Haq Pannun is an Advocate of the Supreme Court of Pakistan. He is perhaps the oldest amongst the present 11 nominees, being about 55 years of age. He received his law degree from Punjab University Law College. After graduating, he went into practice in Narowal, his hometown, where he established a law practice. At present, his principal place of practice is Lahore where he continues to run Pannun Law Associates. His name shows up in the list of registered taxpayers uploaded on the Federal Board of Revenue’s (FBR’s) website. Mr. Pannun is presently President of Lahore High Court Bar Association and was kind enough to grant us an interview. He is closely associated with Mr. Ahsan Bhoon who leads the Independent Group, one of the two major voting blocs in Pakistan’s bar politics. This is not the first time Mr. Pannun has been nominated to the bench of the Lahore High Court. In early 2008, during the tumultuous days of the Lawyers’ Movement, President Asif Ali Zardari appointed him as a Judge of the High Court. However, after the restoration of Chief Justice Iftikhar Chaudhary, his appointment, along with many others, was declared illegal by the Supreme Court. Subsequently, in 2014, the then Chief Justice Khawaja Imtiaz again nominated Mr. Pannun for the same position. However, in its meeting on October 6, 2014, the JCP, at the time headed by Chief Justice Nasirul Mulk, decided not to accept his nomination for reasons which have never been made public. Mr. Tafazzul H. Rizvi is an Advocate of the Supreme of Pakistan and Partner at Rizvi & Rizvi (rizviandrizvi.com). He hails from a family of lawyers and judges based in Lahore. His grandfather, Mr. Jamil Hussain Rizvi served as the Minister for Law and Rehabilitation West Pakistan, as Advocate General West Pakistan and as Judge of West Pakistan High Court. His father (who was also his partner), is Mr. Talib Rizvi, senior Advocate Supreme Court, who in his own time was a serious contender for judgeship. Mr. Rizvi holds a Master of Laws degree from Cornell University Law School. Mr. Rizvi refused various attempts to interview him. However, public sources indicate that his principal areas of practice are commercial law, taxation and elections. His most well-known client and also his claim to fame is the Pakistan Cricket Board. As lawyer for PCB, he is known to have worked on drafting the following documents: the Constitution of Pakistan Cricket Board, the Code of Conduct for Players and Player Support Personnel, Anti-Corruption Code for Players and Player Support Personnel and Code of Conduct for Umpires. He has also worked on Agriculture Marketing Laws for the Government of Punjab. He has contributed various op-eds which may be accessed online. Mr. Shakeel ur Rehman is an Advocate of the Supreme Court of Pakistan. During the last tenure of the Shahbaz Sharif government, he served as the 36th Advocate General of Punjab (Mar 2016 – May 2018), a position he relinquished during the caretaker government’s tenure. 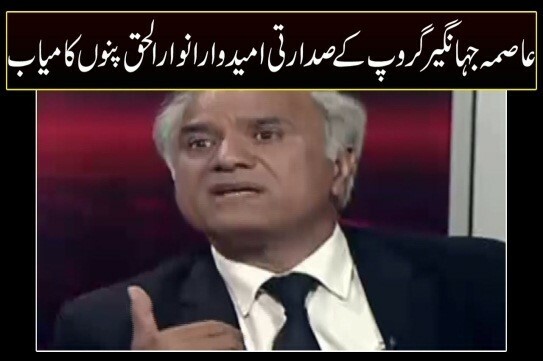 Mr. Shakeel ur Rehman’s father is Justice Khalil ur Rahman Khan who served as Chief Justice of the Lahore High Court and retired as a Supreme Court judge when he refused to take oath under General Musharraf’s Provisional Constitutional Order (PCO). Mr. Shakeel ur Rahman Khan refused various attempts to interview him. However, public sources indicate that he holds a law degree from Punjab University Law College. 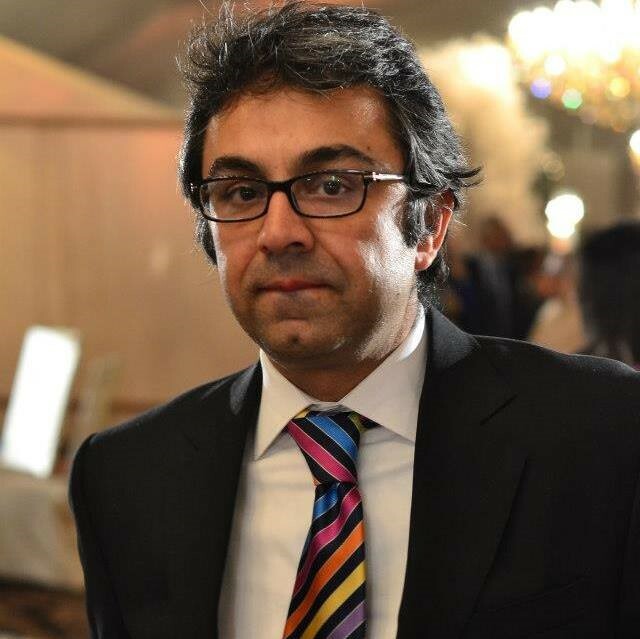 He runs a law practice in Lahore focusing on civil and commercial law. Mr. Risaal Syed is an Advocate of the Supreme Court of Pakistan. He hails from a well-known family of scholars based in Lahore. His father is Najam Hussain Syed, a famous scholar of Punjabi language and literature. His father-in-law, Najam ul Hassan Kazmi, is a former judge of the Lahore High Court, who had to leave his office mid-tenure. Mrs. Uzma Akhtar Chughtai is presently District and Sessions Judge, Gujrat where she has been posted since April, 2018. She is the only person from the entire provincial judiciary of Punjab and also the only woman who has been nominated for elevation. Mrs. Chughtai started her career as a practising lawyer in Rawalpindi. In 2000, she passed the examination for Additional District and Sessions Judge and was inducted into the Punjab provincial judiciary. In 2009, she was promoted as District and Sessions Judge. 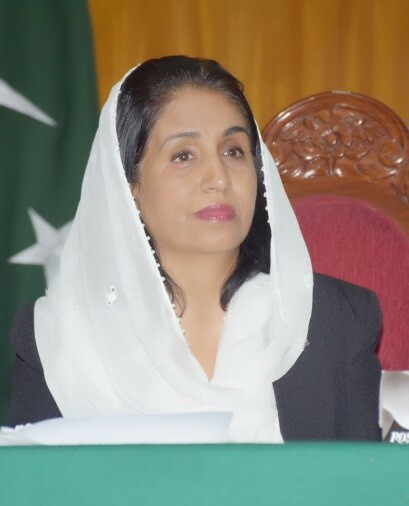 She has served as District and Sessions Judge in various districts including Chakwal and Islamabad districts. She has also served as a Judicial Member, Appellate Tribunal, Punjab Revenue Authority (PRA) and a Judge of the Accountability Court Lahore-IV. At present, she is 12th on the seniority list for District and Sessions Judges maintained by the Lahore High Court. During the tenure of Chief Justice Syed Mansoor Ali Shah, she headed the Punjab Judicial Academy for about 8 months. Mr. Farooq Haider is an Advocate of the Supreme Court of Pakistan. His law practice is based in Gujrat and is focused on criminal law. His rose to fame with a case reported as Inayat Bibi v. Amjad Ali and others (2001 P.Cr.L.J. 1453), which was a case concerning the interpretation of Section 382-B of the Code of Criminal Procedure, where he succeeded against the legendary octogenarian lawyer, Ijaz Hussain Bitalvi. The legal question decided in this case was a rather technical question regarding the date from which a convict’s remissions are to be calculated. The Inayat Bibi case has, however, been declared per incuriam by the Supreme Court of Pakistan in Shah Hussain vs. State (PLD 2009 SC 460). Mr. Sadiq Mahmood Khurram is an Advocate of the Supreme Court of Pakistan. His law practice is primarily based in Lahore High Court – Bahawalpur Bench. He is the son of a former judge of the Lahore High Court, Justice Farrukh Mahmood Malik and is also related to another former judge of the Lahore High Court, Justice Malik Saeed. Mr. Chaudhary Waheed Khan is an Advocate of the Supreme Court of Pakistan. He is presently an Additional Prosecutor General whose job is to appear on behalf of the Punjab Prosecution Department in criminal cases before Justice Asif Saeed Khosa’s Bench in the Supreme Court. Mr. Asim Hafeez is an Advocate of the Supreme Court of Pakistan. He attended Cathedral School on Abid Majeed Road and pursued his B.A. degree from Forman Christian College. He studied law at Punjab University Law College. In 1999, he started working as an Associate with Mr. Sheikh Azmat Saeed, a senior practising lawyer at the time. Mr. Hafeez worked with Mr. Saeed for over 6 years and 8 months after which the latter was elevated to the bench. He is presently a solo practitioner based in Lahore. He is a well-known expert in the law of banking and urban property law and frequently appears in Supreme Court cases. Amongst his prominent clients are Defence Housing Authority (DHA) and Sui Northern Gas Company Limited. In the present list of nominees, he seems more prominent as far as private sector clients are concerned. His LinkedIn profile can be accessed here. A judicial confirmation at the age of 48 could also lead to an opportunity for him to become a Supreme Court judge some day. Mr. Shakir Ali is an Advocate of the Supreme Court of Pakistan. We were not able to obtain much information about him from public sources other than the reference of him being closely associated with the senior bar leader and Supreme Court lawyer, Mian Asrar ul Haq. The Judicial Commission of Pakistan and the Parliamentary Committee on Judicial Appointments are esteemed bodies set up in 2010 by the framers of the Constitution (Eighteenth Amendment) Act. In writing this piece, it is not our intention to challenge the wisdom of these bodies. On the contrary, there is a shared perception in legal circles that the setting up of these bodies represents a step forward in the political evolution of our country and that the nominees possess both professional competence and personal integrity, two of the many important virtues required for judges. (ii) his or her views on key socio-legal and politico-legal issues. We believe that the judicial appointments process in Pakistan could be made more inclusive, confidence-inspiring and democratic if, in addition to judging the professional competence and integrity of candidates, some means were adopted for judging a nominee’s approach to constitutional interpretation and, at least to some extent, a nominee’s views of important socio-legal and politico-legal issues. Public reasoning on these issues is also important because sociologists of law have by now almost conclusively established that judges are inevitably influenced in their decisions by their approach and inclinations. This is because judges, even the most fair ones, are humans. Human, unlike computers, don’t just process data (facts and law) to churn our information (decisions); they view reality through their own distinct lenses and comprehend and articulate it accordingly. To encourage public reasoning on the two issues identified above, the candidates could, for instance, be requested to disclose to the public their approach to constitutional interpretation: whether they believe in sticking closely to the “text” of the law (“textualist”) or whether they prefer going by what is known as the “spirit” embodied in the law (“dynamic”). They could also be asked about their views on, and commitment to, key doctrines in Pakistan’s constitutional law such as: separation of powers between the judiciary, executive and legislature; will of the people; federalism; local governments; fundamental human rights; Islamic provisions; and the notion of civilian supremacy, etc. They could also be asked to share their credentials on and views about key socio-legal and politico-legal issues presently facing the country such as: delays in the legal system, poor governance, exploitation of labour, deprivation of women’s rights, enforced disappearances, financial corruption, oppression against religious minorities and so on. The other point we are trying to stress upon is the need for inclusiveness. Surely, the nominees who have been identified by the senior-most judges in the country must have sound judicial qualities and surely, the appointing authorities must have exercised due diligence. But is it not fair to expect that since we are a democracy, citizens should also be taken on board before a final decision is made? As the maxim goes, justice must not only be done, it should be seen to be done. We believe that with just a little more investigation, inclusiveness and transparency, the JCP and Parliamentary Committee can greatly enrich the appointment process for this very important judicial office in the country. In today’s Pakistan, an informed but fair and respectful public debate on all aspects of judicial nomination can be carried out and should be carried out. It would not only make Pakistan a stronger democracy but would also increase the esteem of our judiciary in the eyes of the public. IN PAKISTANI COURTS JUSTICE IS SELLING JUSTICE.THE LAYERS ARE AGENTS FOR LOW COST PRICE OR HIGH COST PRICE FOR JUSTICE.THIS IS SASTA INSAF SALOGAN.